We were on hand last Friday to witness a rare event at Winchester: The Friday the 13th Bell Ringing. 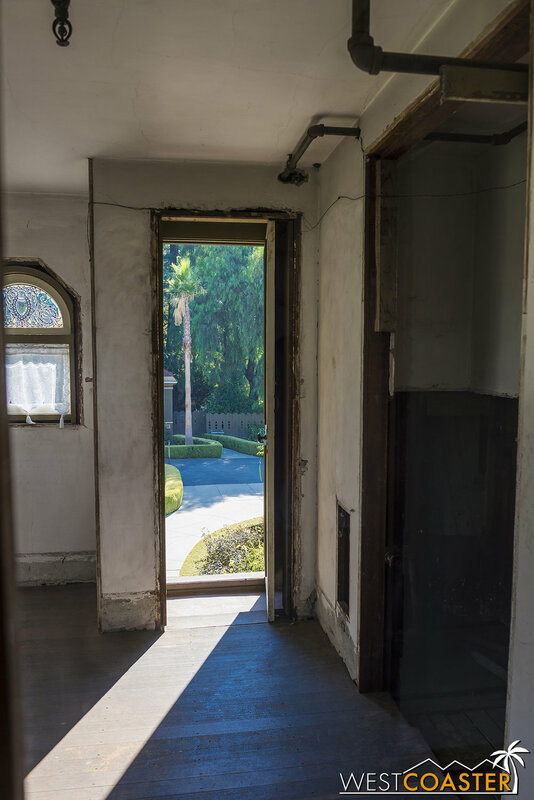 Sarah Winchester was obsessed with the number 13 and used it throughout her ever-growing house, from the number of ceiling panels in certain rooms to jewels in windows to hooks in closets and more. 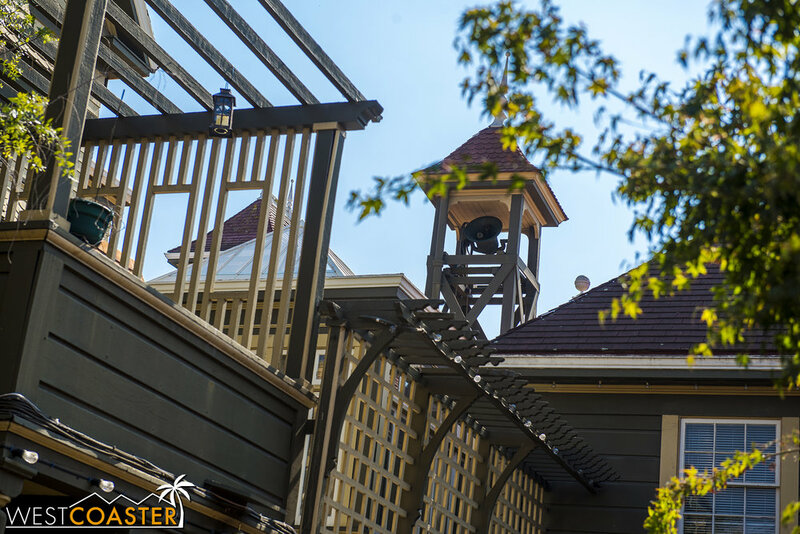 In honor of that tradition, the Winchester Mystery House marks every Friday the 13th by ringing its bell 13 times at 1:00pm--or 13:00 by military time. Being that this Friday the 13th happened to fall on Halloween month, the mood was especially spooky, and house was lovingly decorated to reflect this! 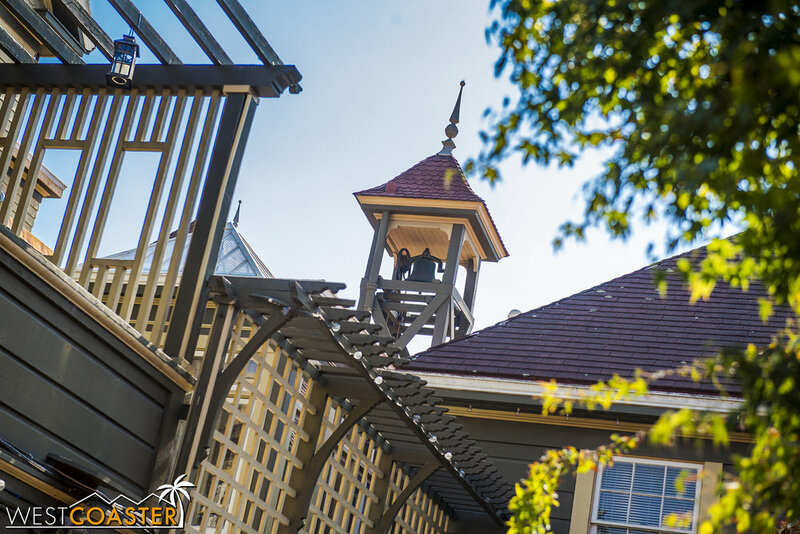 This past Friday the 13th, Winchester Mystery House celebrated a tradition done only on Friday the 13th's... the ringing of the bell tower 13 times at 13:00. The house is charmingly decorated in fall ornaments. The ornamentation extends all around the house. The Mansion Tour is the long-running regular tour the house has offered for many, many years. 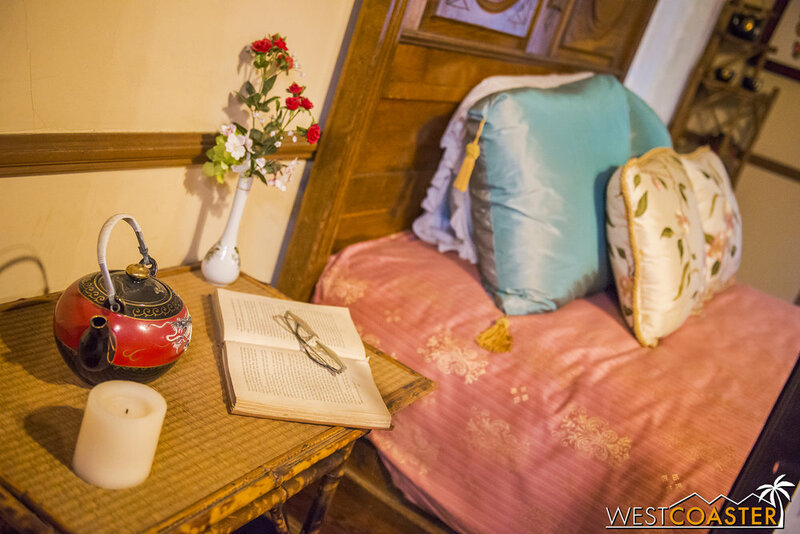 It takes guests through dozens of rooms and tells the story of Sarah Winchester and her fateful life. This is a fun and fanciful hour through the house, past its many, quirky features ranging from doors and stairs to nowhere to closets opening into walls and unfinished rooms mysteriously abandoned. The journey even ventures onto the roof outside, where guests can have an elevated view of the turrets and mansion grounds, before returning back inside. 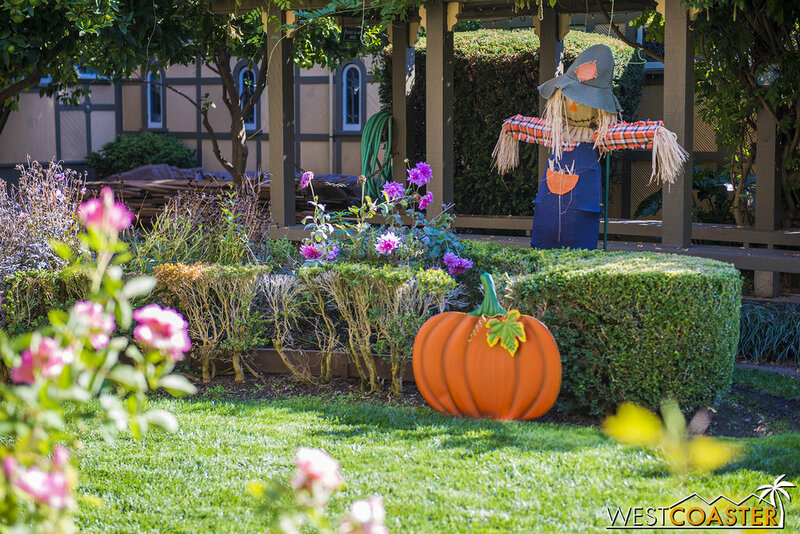 The tour is great for a general overview of what Sarah Winchester and her infamous house are all about. The only criticism lies in the inconsistency of the tour guides, who might provide a perfectly ordinary relay of information and knowledge, or they might draw guests deeper into the myths and enhance their experience with their tone and and enthusiasm. It's a bit like the Jungle Cruise--totally fine with a regular guide, but remarkably better with a very good guide. 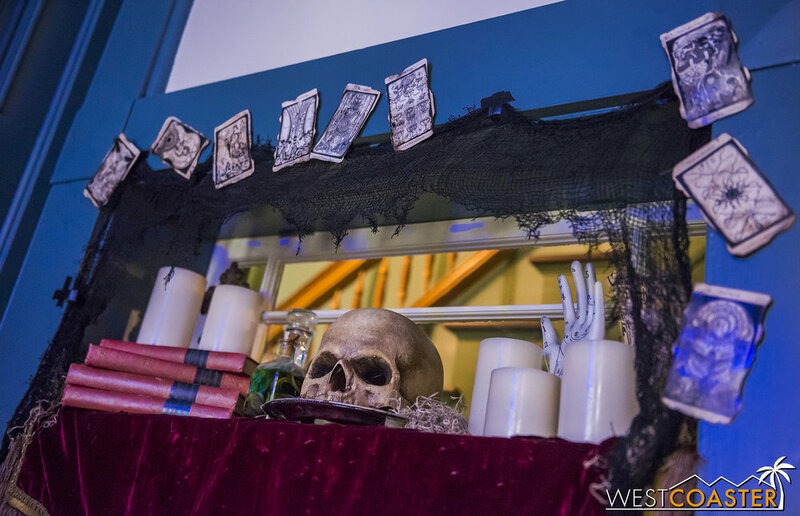 But given the house's macabre background, we would have preferred that all guides bring a bit more gravitas to the tour, rather than only some of them. The famous stairway to nowhere is decorated with tarot cards and jack-o-lanterns for Halloween. A skeletal bird perches on an open window in the loft. These spiderweb windows are rather fitting during the Halloween season! 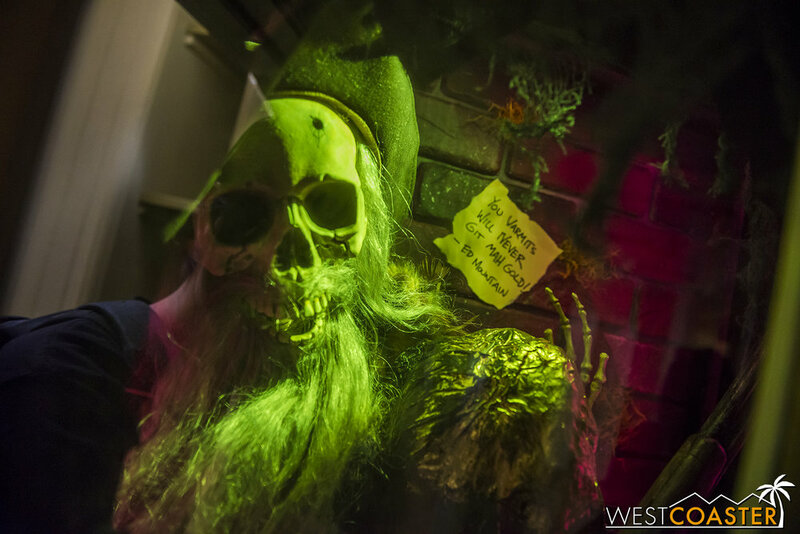 Throughout the tour, guests will see sets and decorations that are actually for the Hallowe'en Candlelight Tour. The daytime tours don't really address them, and if one didn't come during the evening or at any other time of the year, he or she might think items like this dollhouse had no specific holiday function. One of the two conservatories in the house. 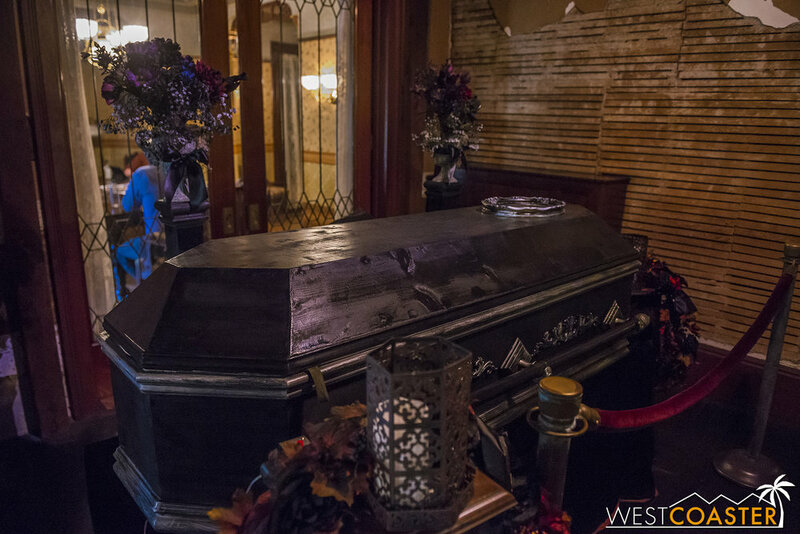 Another autumn special, this coffin definitely does not play a part during the daytime tour, but what mysteries does it hold at night...? Throughout the house, the Halloween decorations are pretty adorable, though. Guests who want a little more Winchester can opt to purchase the Explore More, which is really a combination of the regular Mansion Tour plus this new second tour that takes guests into additional rooms in the house and through spaces never previously open to the public. The Explore More Tour covers a large extent of the house, from the attic all the way down to the basement. 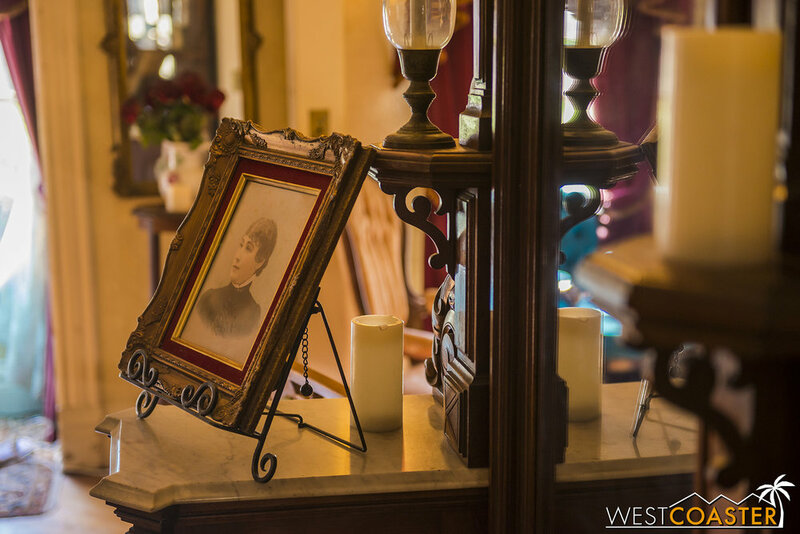 It also sheds more stories and insight into Sarah's life, and it event allows guests to enter through the front door--something that visitors were never able to do in Sarah Winchester's lifetime! 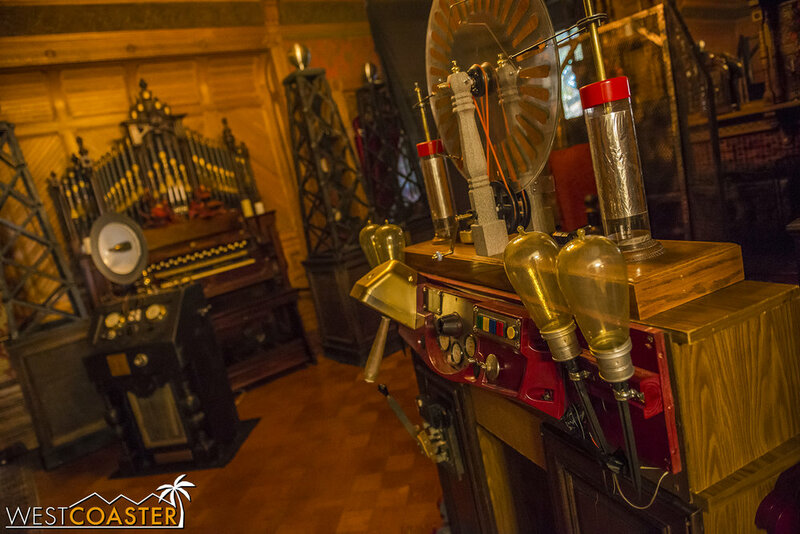 Similar to the Mansion Tour, the guide can greatly enhance the tour or simply provide a normal experience. Given the added revelation of mystery implicated in the promotion of this tour, we would have liked to have seen more character thrown into the spiels and tidbits, and again, although our guide wasn't bad in any way, we did feel that there were some lost opportunities to enhance the tone and ambiance of the tour. 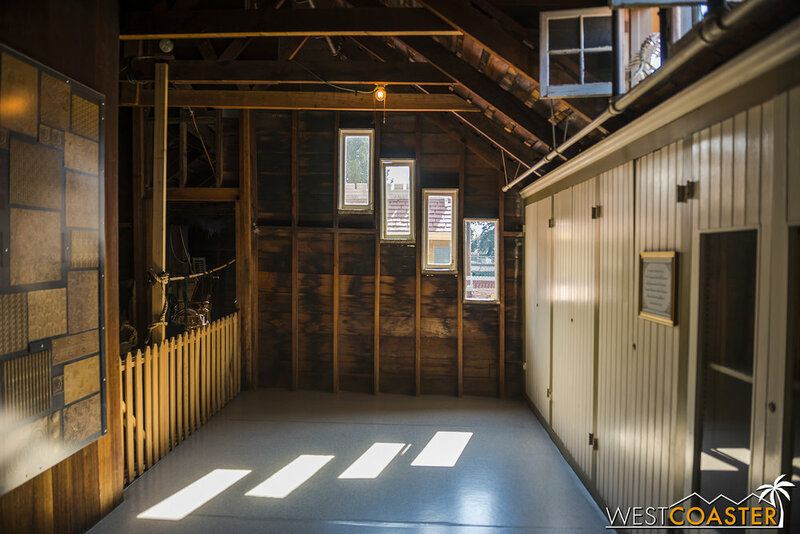 Nevertheless, the Explore More is an exceptionally cool way to further explore the Winchester Mystery House and definitely well worth the expenditure. Those who are fascinated with this house definitely should not miss this tour! Guests are provided with construction hard hats, because the tour does wind through some low lying obstructions! But most of the rooms in which the Explore More Tour concentrates are exclusive. 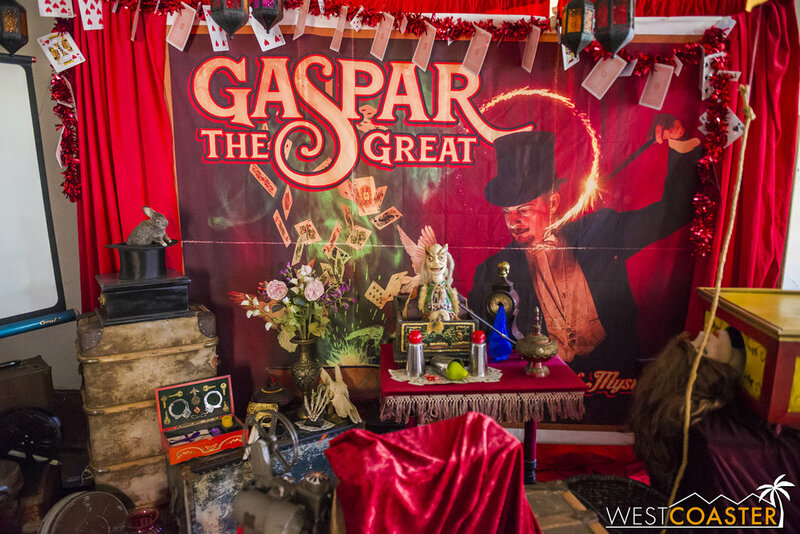 The "Witch's Cap" is one of the particularly memorable rooms, as the room geometry contributes to some gnarly sound echo and manipulation. A few of the Explore More spaces are decorated for Halloween too. A trip through the basement passes by one of the house's elevators--now no longer in use. Looking for a creepy corridor in the basement? Check that here! The tour also wanders its way up to the highest levels of the house too. 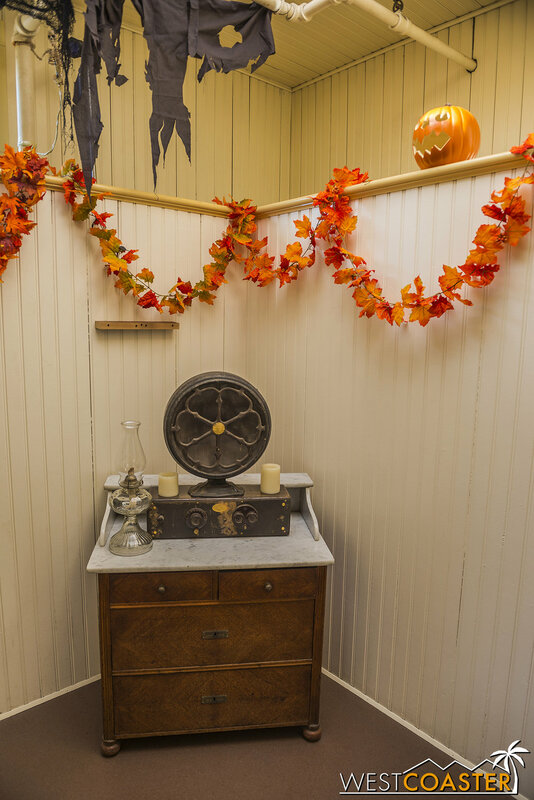 That's our relatively quick autumn look at the Winchester Mystery House, but as you might have guessed, this update is only the appetizer to our upcoming main course: an in-depth look at Winchester's Hallowe'en Candlelight Tour for this year. We went through that fantastic production on Friday night as well, and all I can say for now is that it is a very, very well done experience that any Bay Area Halloween fan would be fortunate to experience. Judging from the crowds it's been attracting, I don't think our positive glow is unique either. 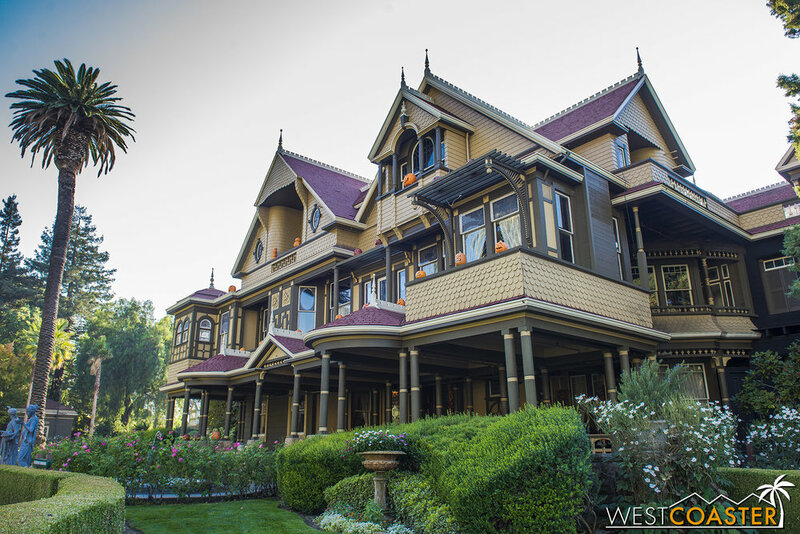 If you're in San Jose or the surrounding area, go check out the Winchester Mystery House today! ...Or if that's utterly unrealistic, soon!